Wait, you still haven't started Stranger Things? Stop what you are doing right now and begin your binge! The good news is that season 3 isn't going to drop until 2019, so you have some time. If you are on the fence as to whether or not to start this show, let me try to persuade you. That Cast. Gaten Matarazzo is a comedic genius in the making. 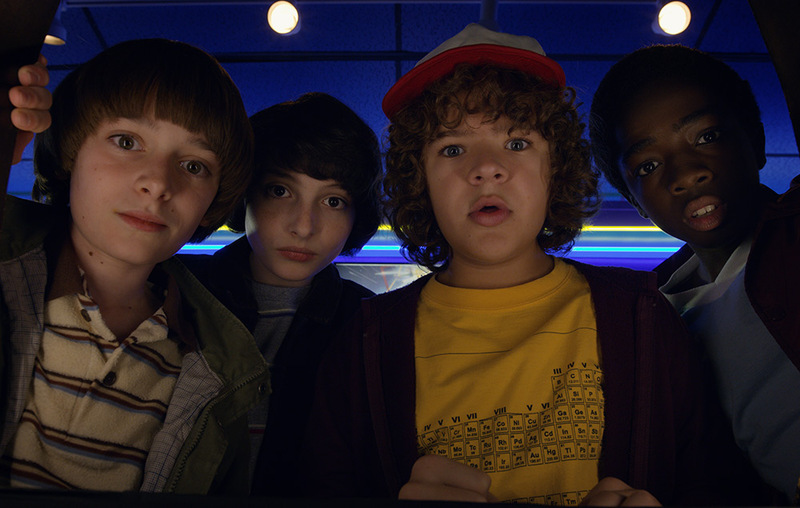 There is no denying the chemistry between the four central tween boy characters, but Gaten is something more. His quips, expressions, heart and heroism have won me completely. I know most of you are too young to understand how epic it is that Winona Ryder is making a comeback, but just trust me when I say It. Is. Awesome. Ask your parents if you don't believe me. As if casting couldn't get better, Sean Astin joins the fray in season 2 and we all fall in love. I cannot wait for who we might see in season 3. Scary Not Cheesy. I'm not a fan of horror but I do love sci-fi. Stranger Things definitely toes the line between the two, but it has plenty of scary and believability. The writing on this show steers it clear of lame b movie land. Strong plot, defined characters and great acting keep this show fresh and entertaining. Not the same old stuff. Finally a show that isn't a)cop/crime drama, b)family comedy, c)twenty-somethings looking beautiful doing stuff. You haven't heard this story before, and I can honestly say I have no idea where it is going. But I can't wait.